A request is asking someone to do a favor or for something. It’s important to be polite when doing so. 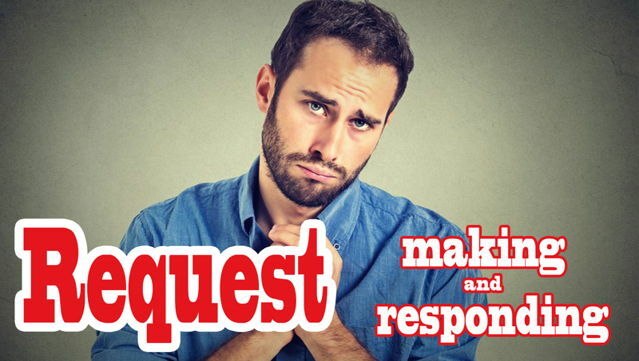 Making and responding to a request can be done in different ways. The following lines will show you how. Do ……. (something)…… for me, please. Is there any chance you could…? Do ……. (something)…… for me, will you? Do you think you could………? I wonder if you could possibly………? Speaker 1:Could you please help me with this exercise? Speaker 2: Yes, of course. Speaker 3: Do you mind going with me to the market? Speaker 5: Would you mind giving your brother a lift downtown? Speaker 7: I wonder if you could possibly repair this engine?